On Memorial Day Americans fly our flag in memory of our American war dead. A friend of mine, a West Point graduate who served in Iraq, said on Facebook something like this: Don’t send me thanks on Memorial Day! On Memorial Day we recognize only the war dead, not all those who served, and I have sixty years of living left! He’s correct. It’s the American war dead whom we remember, and with enormous thanks for their sacrifice. As your grandparents knew it, this day was often called “Decoration Day.” I remember Decoration Day in the late 1940s as a time when customers came to my grandmother’s commercial gardens in Spokane, Washington. She sold decorative arrangements of flowers which her customers took to Riverside Cemetery to place the sprays on the graves of relatives. On graves of veterans, it was a custom to place both flowers and a small American flag. My mom and I would travel from our home in Tacoma up and over Snoqualmie pass, then on through the Palouse to Spokane. There we helped my grandmother with her enormous annual task of cutting, arranging, and selling all of those flowers. 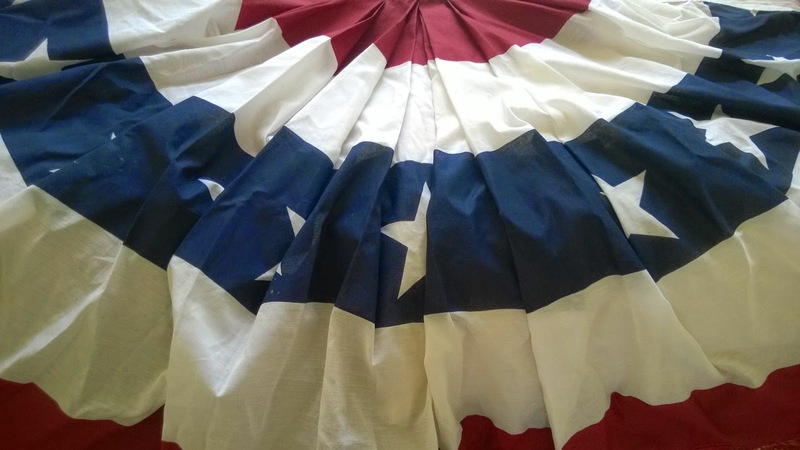 It was Decoration Day. Today, when Americans think of our war dead, our minds jump to Arlington Cemetery in Washington, D.C. and the Normandy war cemetery in France. To be commemorated in these well designed architectural triumphs seems almost desirable. Yet I’ve seen another side to war cemeteries. In July of 1987, I was fortunate to be guided, along with other academics, throughout much of Egypt, courtesy of a generous foundation. In mid-month, we visited Alexandria and on July 18 bussed west down the coastal highway to El Alamein. In this coastal desert town we visited the war cemetery, containing hundreds of graves from World War II. The battle of Alamein was crucial for both sides in World War II. Winston Churchill said, before Alamein, we had no victories. After Alamein, we had no defeats. Men on both sides of the war died in desert struggle and are buried there--about 20,000 combatants. Yes, this is a blog devoted to “growing green.” But El Alamein offers the startling contrast of another reality: that of dying--not of growing--and of dust and desiccation--not of green. 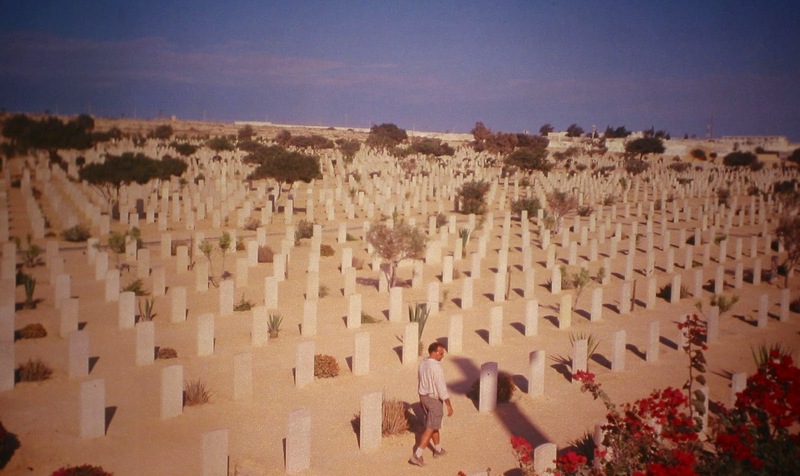 El Alamein cemetery is in the Sahara Desert. 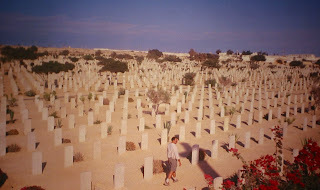 Today, as I recall my experience in El Alamein, I remember walking alone from one end of the cemetery to the other past rows and rows of monuments, unable to hold back tears. I wept over the tragic destiny of the hundreds buried there in the sands. And almost forgotten, Alamein is largely ignored, and so are its dead. The cemetery speaks of the horrors of death in battle and of the burial sites that should be remembered but aren't, and of others that aren't even known. The reality of death in battle is more like El Alamein than like the stately memorials listing names in Washington, D.C. and the symbolic Tomb of the Unknown Soldier. I visited the American cemetery in Tunis for soldiers who died in the North Africa battles of WWII when I was there years ago. I did not know about the one in Eqypt. If I had known I perhaps could have a found a way to go there.